Robotics have already soared into the high-tech industrial world and it doesn’t seem to affect the citizens. The global capabilities and performances of robots have increased thanks to our leniency regarding the evolution of the industrial world. It wouldn’t be the first technology to make the most of the industry to succeed and then transfer into our private lives: household electrical goods, telecommunications, transportation, etc. We accept it, because we believe risks are controlled by experts working in these respected yet commonly unknown companies creating and producing state of the art products and services. And these experts did well so far. In 2014 , the Republic of Korea, Japan and Germany were the 3 countries whose industries had the highest density of robots with an average of 361 robot units per 10,000 employees. The U.S. and China both had a lower average: 164, resp. 36 units. Despite this, the U.S. and China have a large role in the global robots’ sale. Together with Japan, The Republic of Korea, and Germany they covered 70% of 2014 global robot’s sale, representing 157.396 units. Industrial Robotics doesn’t mean just isolated machines: workers have found themselves, new colleagues and co-workers. Assistive robotics finds its use in the industry, taking advantage of all the knowledge gained on design industrial robots, to carry out new ones. They collaborate with workers (which lead to coin them as cobots) in a way that’s inspired from our cognition. They are less expensive, safer, more generic and can adjust or be adjusted to situations. The automotive industry already decided to take the road of cobots since 2013. For example, Volkswagen equipped its assembly lines with cobots to install glow plugs. They now spread into other fields such as the aerospace industry that seems to be interested in these robots to assembly or test the aircraft. Among the creators of these new workers, you can find Universal Robots, Kuka, Rethink Robotics, Kawada, and others. Robotics companies can, therefore, build new products they want to pass on to the industry. Prices are tremendously lowering and a Baxter bot sold by Rethink Robotics would cost (only) 25 000$. This industrial trend is still going on, a good example being SRI International’s project to develop robotic arms costing 10 times and consuming 20 times less than current industrial robots . Robotics already emerged in the industry and people don’t seem to be bothered about it. People grant constructors the right to develop the technologies to assist workers, but these are the same they’ll use once willing to build the products and services to accompany our civil society. Are we really the coming customers? Today, the debate focuses on whether we agree on having robots in our everyday lives. First of all, some of us already do. Cleaning pools, mowing grass, vacuuming are tasks that can be done by automated robots. They don’t embody most of our concerns but they are still an example of what robotics can provide us with if we let them enter our everyday life. Now let’s talk more specifically about robots that will be around people, our children, parents, us. What experts will state as social robots. The use of these is experimented all around the world. The Japanese are the keenest on using them due to their culture of animism. Indeed, they believe objects have spirits or souls which facilitate the acceptation of robots around them. So Japan is not the place to find direct answers to our non-animistic interrogations, but it still shows how life can go when it includes robots. Let’s have a look at a country whose way of life could be considered closer to ours : the US and the public reaction to a recent video posted by Boston Dynamics about Atlas. While Boston Dynamics was demonstrating new adaptability features Atlas had been provided with, many people felt it was being mistreated when team members started pushing and tricking it. Social networks and the media took sides both with and against Boston Dynamics. Some comments were even made that mistreating robots could have them hold grudge against human kind and could be a bad idea for the time when they will be dominating us… Given the crowd’s feedback and the fact that their products would probably not be commercialized soon enough, the reaction was quick and Alphabet decided to put Boston Dynamics up for sale. Even if there may be other reasons behind that decision, the symbolic of this move is strong: people are not ready to live around robots and the US population is as concerned as Europeans when it comes to robots. Nevertheless, service robots are already among US citizens. You could find some in hospitals like autonomous robots tasked with delivering food, medicine and supplies or Paro robots to help patients care: in California or Pennsylvania for instance. 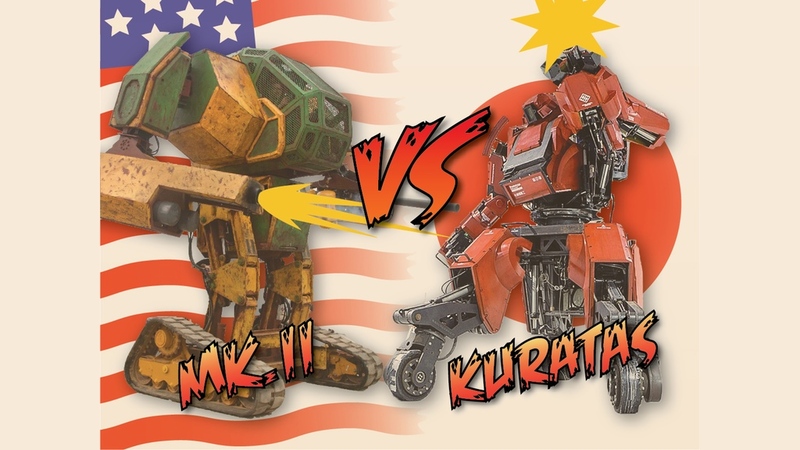 The world is expecting the big fight between Megabots (US) vs Kuratas (Japan), two robots that will fight for entertainment (science fiction comes to reality). The US team is raising funds on KickStarter (link here) to upgrade its robot. And it’s showing no signs of slowing down: Aldebaran, Blue Frog Robotics, Sphero are projects or companies currently on the rise. They all design the robots expected to operate in our day to day lives, even if the expectations we based on fictions are currently far from being matched. Indeed, many famous robots such as Honda’s ASIMO sometimes fail during public appearances. However, social robotics’ early sponsors and up-and-running experimentations lead to believe there will be more in the coming years in US-like countries, despite citizens’ fears. When thinking about service robots, we shouldn’t base our thoughts on fictions we grew up with like Terminator, Blade Runner, I-Robot, Ex Machina, Her, Real-Steel, Chappie, Wall-E, Big Hero, etc. We have been taking fictions as references for too long. I would very much like to discuss the rise of robotics regarding what cobots or social robots do today and could do tomorrow instead of looking at it through the eyes of Dr. Frankenstein. Is it just a tool? So, should we let the constructors develop robotics on their own without considering customer feedback? Of course not, but we should accompany this development, keeping an eye on present facts and leaving fiction behind. Any tool can be risky but it’s what we use it for that will actually trigger issues, just like a hammer carries both a useful potential and lethal risks. We managed to tolerate hammers in our societies thanks to education, policies and civil awareness about this tool. So the questions aren’t about risks but how to control them so that services developed with robots can be as profitable for customers and citizens as they are in the industry. We could use another field as a reference for the development of robotics: telephony. This field is now lead by customers willing to consume more and at a higher pace. Phones have evolved according to the expectations of users, getting smarter and smarter every year. This field also generated serious concerns about user isolation and privacy. However, they are dealt with and they don’t hold back its growth. Yet, it has not always been the case. Mobiles were first designed for the military and were later embraced by the business world. The very first ability to simply communicate anywhere anytime, of course, sparked some concerns into society and workplaces. But in the end, the technology was developed in the authorized areas and then flooded the customer market, starting with Japan. 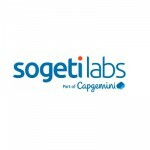 Today this evolution is driven by customers instead of being pushed from the industry. For instance PhoneBlock’s fame on YouTube lead Google to design its new Ara product, and many other constructors design new smartphones based on this idea backed by the Internet community. Customers don’t fear the specifications of these modern tools because they are built from their own expectations. Mobile phones have succeeded in their transition from being pushed from industries to customers to being pulled by customers and now disrupting every other field impacted by their use. Technology is a tool that can be designed to save time and enhance lives. As usual, the argument isn’t about the tools but about their use. People want to make sure that it will be controlled and designed for good. Why so many questions then? Why wouldn’t we give robotics the same chance as mobiles, and play our customer role at a historical crossroads? If we want to have first answers to our recurrent questions preventing us from seeing robots as tools, then let’s have a look at what happened with robotics in the industrial world. Like the cart for horses, or the steam for trains and transportation, industrial robots contribute in sustaining the growth of production. The word “robot” was coined by Karel Capek from the Czech word “robota” meaning “hard work” or “slavery”. On these aspects, robots play a part in relieving human workers from difficult or risky tasks, while being under their supervision. Volkswagen is testing them to relieve their workers from difficult tasks on assembly lines. Companies working with radioactive material use them to control and inspect their facilities. The army is willing to use them to make sure a military field is safe and cleaned from any explosive device. As for many technologies before, citizens are willing to call them progress only when they start benefitting from them. They may even have forgotten about one of the very first concerns that crystallized the word “robot” when it was coined: the diminution of employment in the industry. Studies aren’t unanimous about robotics impact on employment. 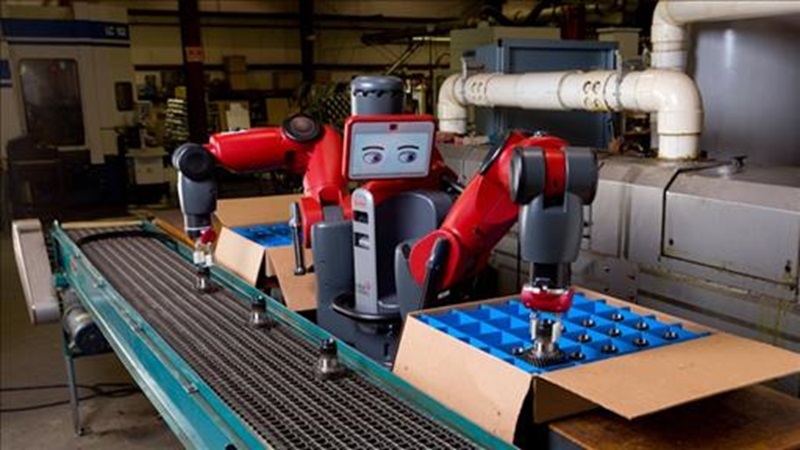 The IFR declares every robot enables to create 3 new jobs, but MIT academics seem to think otherwise: who knows? The difficulty is that we can’t look at the recent cases such as Foxconn willing to replace many of its Asian workers by robots, and conclude on robotics evolution being positive or not. Indeed, this has to be looked at on a much more global scale where automation in production and society disrupts our current economy and way of living. For instance, the decision to outsource a task for a western company is based on the cost of this task mostly based on the cost of the worker to carry it out. In an automated industry where tasks are carried out by robots, what will be the criteria if salaries are no longer involved? We could imagine that energy costs could be decisive in this future. Companies that had delocalized because of employment costs in a specific country could decide to relocate thanks to energy costs. There is still the question about what will happen to a current unqualified workforce who will be less needed? Only an economic eye on this matter isn’t appropriate. It will be dealt with through a transition in our societies. If the automation happens, then the differentiating ability for tomorrow’s workers will be their humanity instead of productivity. That could be the criteria for many more and new positions to fill. There is no answer at this time to many of our questions. Positive uses of robots can be imagined, so can be negative ones. As long as citizens aren’t engaged in robotics development, there will still be apprehensions and fears about what it can become. Therefore, we should make sure that the push period from the industry doesn’t last too long without the customer willing to accept and drive the coming phase. If the technology evolves only in restricted areas, then it might drive the fear of the unknown. Good thing is that methods of construction and financing projects have evolved. While robotics are penetrating the daily lives of citizens, it will be constructive to have no misplaced prejudices and try to explore the new technology with an open and critical mind. As a conclusion, robots are already among us western citizens. It is often a disappointment when people refuse any discussion regarding robots, backing their views with archaic examples. Of course, their aspects or performances stimulates our imagination and links it to our fictive references. But much more recent examples exist to discuss robotics in a pragmatic way. The increase of this field is perceptible even if we can argue on the figures or conclusions provided. We can also discuss its maturity since many apparitions are orchestrated to convince investors to go further. Those usages can be seen as much as a threat than a blessing so far. It can reduce job numbers or make jobs easier. They replace people or enhance them. The best chance as citizens is to push for these products to meet frequently their public: us. This will let us bend or stop some of their uses, making sure the services they will provide best fits our expectations and apprehensions. Robots should be used in areas where automation can help efficiencies and not look sleek or sci fi only. Thanks regarding giving such wonderful details. Looking only at the western world when it comes to robotics is also an archaic view. Japan is the leader in the filed and probably will remain so for the foreseeable future. If they were able to sell to the wider population the idea of robots becoming part of their lives then other countries should learn from it and not dismiss “because it’s a different culture”.